-As a Baltimore native myself, I was always supportive of the artists that come from here. Dru Hill, Bossman, B-Rich, Lor Scoota (RIP) etc, I always appreciated the artists from the area who did their thing. 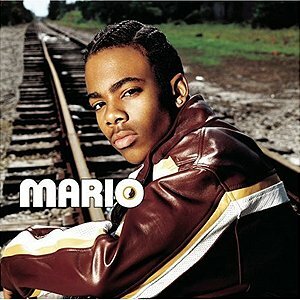 One artist who always seems to get slept on in the grand scheme would be Mario, the R&B singer who came onto the scene when he was in his teenage years. 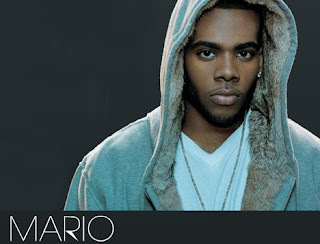 With his debut album dropping, Mario achieved minimal superstardom via his "Just A Friend 2002" single and gained love for his smooth single "Braid My Hair" and as he made a splash into the music world, it seemed like he could destined for bigger things. 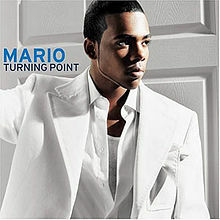 A few years later, without his signature braids and a little more mature, Mario returned and gained a lot of press and attention based on his second album "Turning Point", mostly centered around his mega single "Let Me Love You". Today, the team takes the time to put the spotlight on Mario and look back at his music and career. I've neither negative feelings nor extremely positive feelings about Mario's music. For a good portion of my life, it kind of just existed. Yeah, I know. He's from Baltimore, I'm from Baltimore. I'm supposed to like everything from Baltimore because Baltimore, right? Well, Baltimore has had its share of drug abuse sadness. Do I have to love that, too? That's not to say Mario's music is like drug abuse, because that's a doubly messed-up thing to say. I mean, Mario's mom had her issues with drug abuse. But, it does say this. Just because something's from your hometown doesn't mean you've got to fawn over it. A large portion of Mario's music, for me, kind of just existed/kind of just exists. I couldn't fully relate to it. I only grew my hair out to braid a few times and it was usually done by professionals (fancy). I thought that "Just a Friend 2002" was kind of corny, even with its Biz Markie roots. And, later on, I'd make fun of songs such as "How Do I Breathe" and "Somebody Else," mainly because they, while decent tracks, had some "huh" moments in them. However, one song, and it's an overrated song from Mario, keeps me from completely dismissing the man's underrated genius (what? Just because I'm not fawning over him doesn't mean I don't realize he's got some talent and bangers). I'll speak on this song a bit more at a later date. But, for now, just know that I like Mario, but I'm never going to be the one who's going to say he's the GOAT, and I'm sure no one would call him that anyways. He's underrated as hell, definitely with some solid songs in his catalog. He's not the top R&B artist, but still dope regardless however, and has some good music. Baltimore, Maryland... a city that is rich in musical talent, we know this because it’s home to Team DAR, and as much as I would appreciate this discussion being about True’s “Road to SR3”, “Soul Revival 3” and the upcoming “After The Revival”, it’s not. We turn our attention to R&B, specifically Mario who also calls Baltimore home. Although it’s been 15 years since his debut album and with only a small number of releases under his belt, the guy has been busy. 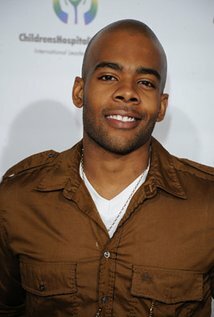 In addition to his music, we would see him in “Step Up” in ’06 and again in ’07 (in Freedom writers), but he didn’t stop there, as he would go on to join a production team and even create his own foundation. By 21, Mario had definitely made some solid moves. Musically however, he always seemed to stay under the radar. Sure, he had a couple chart topping singles off every album, but for the most part he never really made it to the big spotlight, but of his 4 album releases, he definitely had some fan favorites. 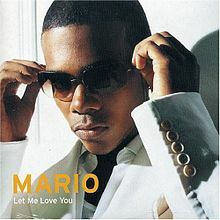 Of course, his defining track that has become the most recognizable Mario song ever: “Let Me Love You”. Everything about this song is incredible...the lyrics of course, but even beyond that, the entire hook! When he sings “If I was ya man (baby you)...” and of course the chorus. They feed into each other so perfectly and it makes the entire thing flow so well. While the fellas were (maybe) relating to the feelings and frustration of wanting a girl they couldn’t get, the ladies were loving the sweet heartfelt love-sick words that would make them feel special. 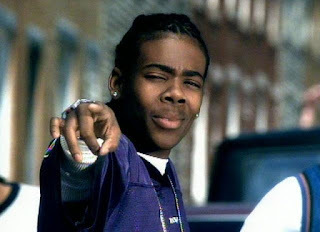 It really was received well by both and Mario knew exactly how to deliver it in a way that was nothing short of smooth, silky and a perfect R&B track. “Couldn’t Say No” is a weird track for me. Keeping in mind that Mario was 18 at the time, I think it’s a bit beyond his experience and a “reach”, so to speak. I hate the words, I hate what it’s about and I cringe at the second verse, BUT I love it for the incorporation of the upbeat bounce. 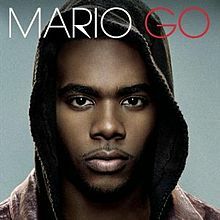 I think Mario is one R&B singer (maybe Usher too) who can maintain the balance between slow/smooth R&B while a ton of bouncy upbeat busy sounding loops are happening in the background. The song sounds great like this and if it wasn’t for my attention to lyrics in all music, I would probably get lost in the melody and beats. As much as I hate to admit it, this track works and he executes it well. Another track to be noted is “Boom” featuring Juvenile. This is where we hear the smoothest version of Mario, not to mention his laid back, carefree, loving life personality peppered all over this track. It’s definitely the banger (very reminiscent of Usher’s “Yeah”) and he has a ton of fun with it so in turn the listener does too! Juvenile is a perfect addition to this track. Juvenile has always provided club hits, his flow is perfect for this type of song and he definitely knows how to be a crowd pleaser. Cash Money told us they were taking over in the 2000’s, so of course this would be a favorite. It’s great from beginning to end and the hip hop addition is appreciated. And of course the ever so clever (and also fun) track “Nikes Fresh Out The Box”, and this is exactly what I would expect from 18 year old Mario and I can appreciate it. The comparison of a girl to Nikes fresh out the box is absolutely hilarious and surprisingly well understood by everyone. To me this is a cute song: like a puppy-love, first-day-of school-crush-cute. It’s definitely relatable because we’ve all been there, we all know this feeling and excitement...and for the sneaker heads.. I'm sure it speaks volumes. This is another track that has personality and it works. Last but certainly not least, “Let Me Love You (remix)” with Jadakiss on the track is brilliant, I love Jada’s voice and everything about it. His lyrics are dope for this type of song and T.I adds the needed level of grimy feel required for a remix (I say that in the most complimentary way). This isn’t intended to be all sweet and romantic, there’s a level of sexual explicitness that I think Jada and T.I are able to convey. Mario sticks to the chorus (and one quick verse) which serves as the balancer and cohesive component. I’ve always been a fan of rap and R&B together so no surprises that this is one of my favorites. This is perfect for those who find the original track “cheesy” or “corny”, but still works for those who want the cuteness. So there you have it. Although I missed a few other fun tracks and some great features, to me, it’s these that make “Turning Point” a fun listen. I think Mario created a fantastic listen, not only because of his vocals but the execution was also great. He definitely had matured, his content was great and his ability to mesh with other artists really brought this together. As much as he remained under the radar, he established himself enough that those who appreciate his music knew where to find him and he didn’t disappoint. 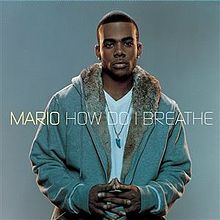 -Outside of his self titled debut and Turning Point (which I love both for songs like "Braid My Hair", "Chick Wit Da Braids", "Let Me Love You", and his best song IMO, "Nikes Fresh Out The Box"), Mario would have a moderately successful album in his 2007 release Go. 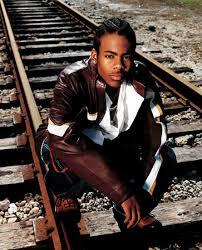 Almost cracking gold, Mario hit big with the Polow Da Don (remember him) produced "Crying Out For Me", and the somber ballad "How Do I Breathe". His last album was the odd "D.N.A. 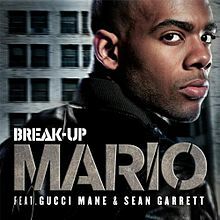 ", which released in 2009, and spawned another hit song in the dope Gucci Mane featured "Break Up", which is one of my favorite Gucci feature verses and the song itself is a good one. 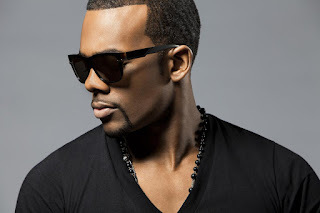 Since then, Mario has been quietly musically, but he's one of those artists who had a solid run, with hits off each album, including a huge no. 1 hit in "Let Me Love You". When talking R&B in the 2000s, he was one of the premiere artists for sure.